After another fantastic event in 2016, the next Colour5k Dorking has been confirmed for Sunday 21 May 2017. Sign up here or enter your details below to receive more information. 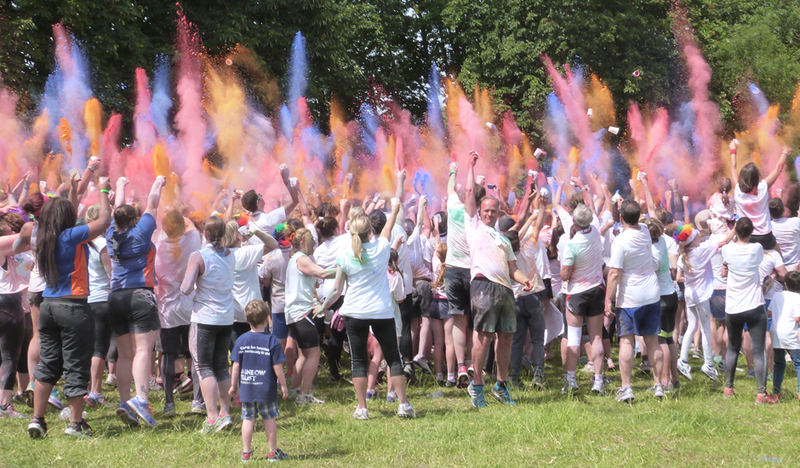 Rainbow Trust is the official charity of the Dorking Colour5k - we’re excited to work with this fantastic event and would love your help in making it a huge success! Under 16’s can take part too as there is a 1km race for juniors. There will be lots of other activities on offer, including a bouncy castle, face painting, a tombola and biscuit decorating - a fun day for all the family! Sign up here, complete your details below for more information or contact Katie on 01372 220031.